Crowley Company Announces loss of president, Christopher (Chris) William Crowley, on Sunday, December 2, 2018. Vice president Patrick (Pat) Crowley of The Crowley Company, an international leader in digital imaging hardware solutions and conversion services, announced today the passing of his brother and company president, Christopher (Chris) William Crowley, on Sunday, December 2, 2018. Upon graduation from the University of South Carolina in 1982, Chris joined his father full-time, concentrating on sales. In 1986, the firm opened a digitization services division and the company name was changed to Crowley Micrographics to better represent its offerings. In 1988, Pat joined the firm. 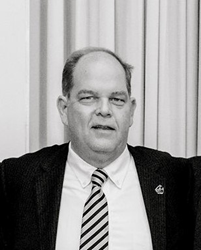 In 1996, upon their father’s passing, Chris took the helm as president and is credited for transitioning the company fully into the digital age, changing the name to The Crowley Company in 1997 and expanding the client base into the corporate, academic, records management and archival markets.